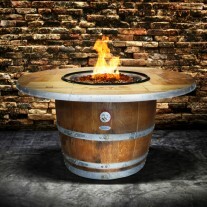 Wine Barrel Kegerator by Napa East. 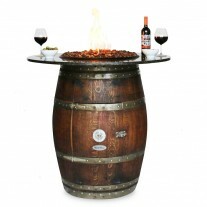 What a way to serve a beer! 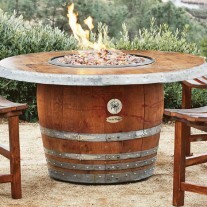 This beautifully restored vintage Napa Wine barrel gets converted into a beer dispenser. 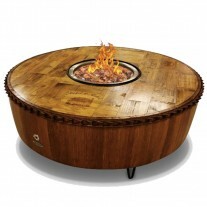 The unit comes with all necessary equipment and empty CO2 tank. 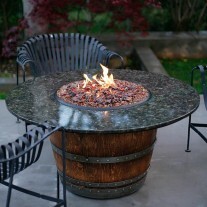 All that is needed is for you to fill the CO2 tank, get ice and a keg. 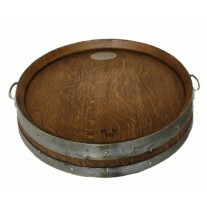 It is best used with 1/4 tall kegs and 1/16 kegs. This unit is not refrigerated and uses ice. 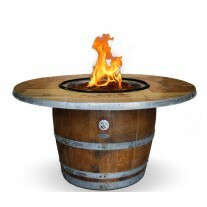 Ice bucket is included. 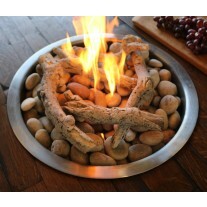 Great for parties and BBQ’S. 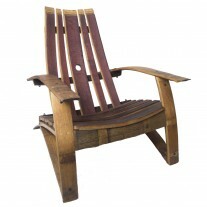 - Unit is on castors and can be used outdoors. Pro series dual gauge regulator easily measure PSI and CO2 volume and adjust CO2 output pressure using this regulator packed with premium features. with top gauge indicates output pressure, while the side gauge tells you what’s left in the CO2 tank, so you don’t run out of gas during a party. The standard plated brass body has a large pressure adjustment knob for easy use and includes a manual pressure release valve. 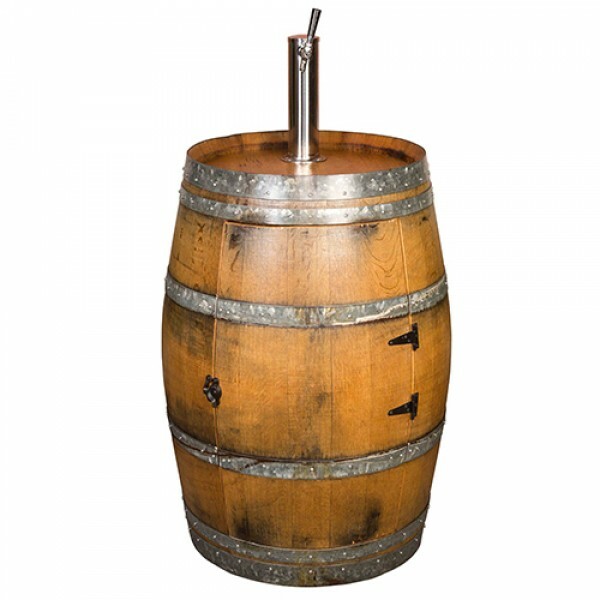 Lever handle keg coupler is NSF approved ad features a sturdy nickel-plated forged brass body with a stainless steel probe, and is designed for use with all domestic brand American D system Sankey kegs. The lever-handle design is easy to use; simply pull out and then down on the handle to couple the keg. - A 55-psi pressure relief valve makes this coupler even more convenient to use, allowing over-pressurized gas to escape before it enters your keg. 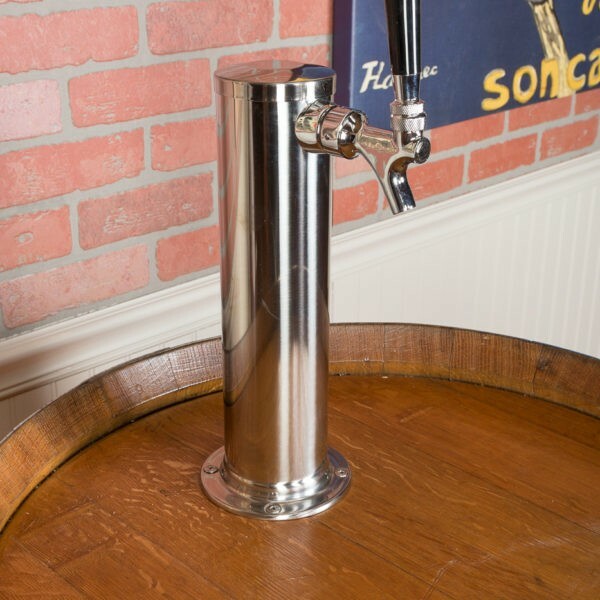 Single faucet draft beer tower features a beautiful standard-plated metal finish and a matching standard-plated faucet with metal lever, this 3″ diameter air-cooled draft beer tower is the same stylish tower used on most commercial grade kegerators. 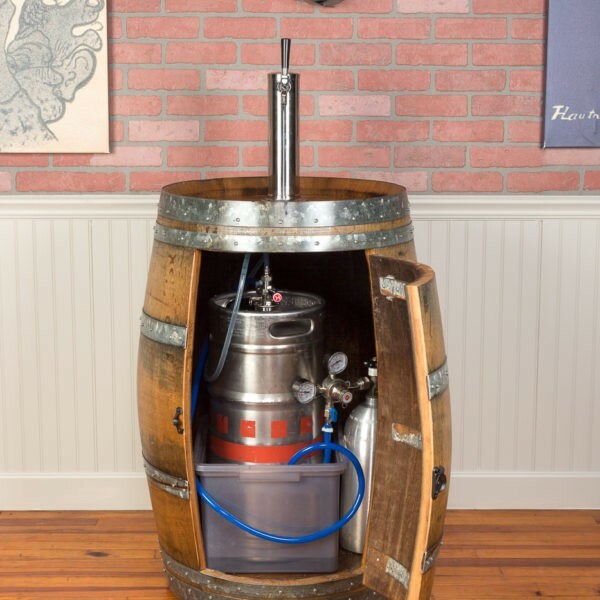 - Tower conveniently includes 5 feet of clear beer tubing ending in a nozzle and hex nut assembly for quick connection to all standard keg couplers, as well as a gasket and four screws for easy mounting. Standard metal beer faucet wrench is an essential tool that allows you to quickly and confidently loosen or tighten shank collars without scratching your faucets. This wrench has been built to last with a rugged all-metal construction and a convenient 5.25″ length. Includes empty 5 lb. aluminum CO2 tank : This new tanks are made from high strength aluminum alloy which is not as heavy as a steel tank and will not rust. These eye-catching tanks have a glossy red coating that acts as an extra layer of protection against corrosion and wear. 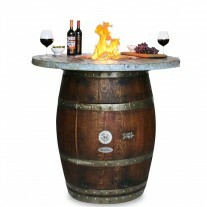 Upgrade your wine country bar with the Napa East Wine Barrel Kegerator. 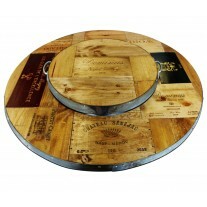 This is made from an authentic retired wine barrel. 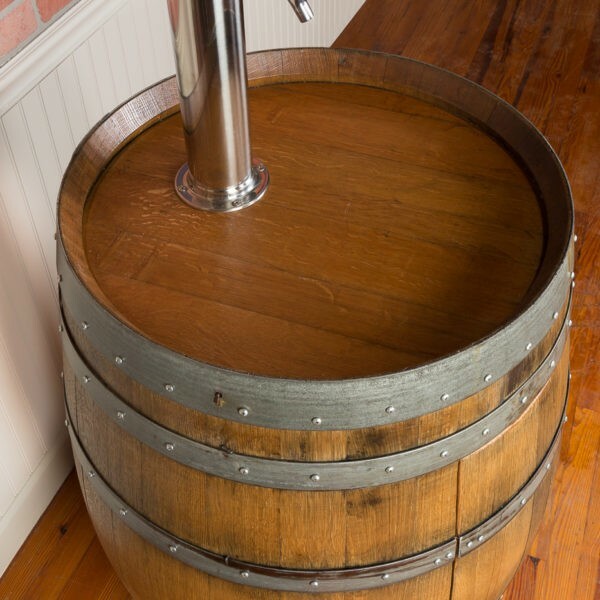 The Kegerator includes a full-sized, wine barrel on easy-rolling casters and unfilled Co2 tank. A complete tower system make it complete.